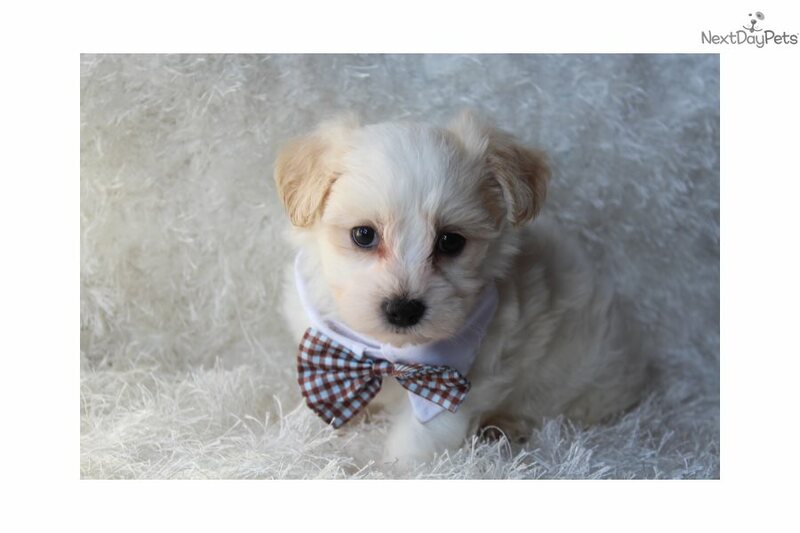 This Morkie / Yorktese nicknamed Marcus sold and went to a new family. This is Marcus. 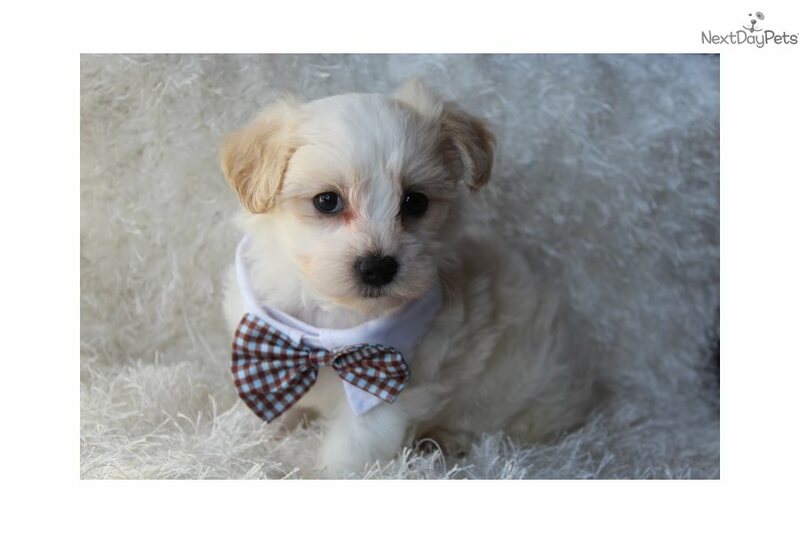 Marcus is a sweet white with buff ears morkie baby boy.This little guy is charting to be in the 9 pound range. He is a quiet content puppy. He loves snuggling and is more of an observer than a participant. He will do well in a quiet home with calm children. His release date is after 11-29-17 He will have everything he needs to get an amazing start in life. I am with my pups here at my home 24 hours a day seven days a week. They get unlimited love and interaction from the minute they are born. I cut no corners or spare no expense when it comes to my puppies. 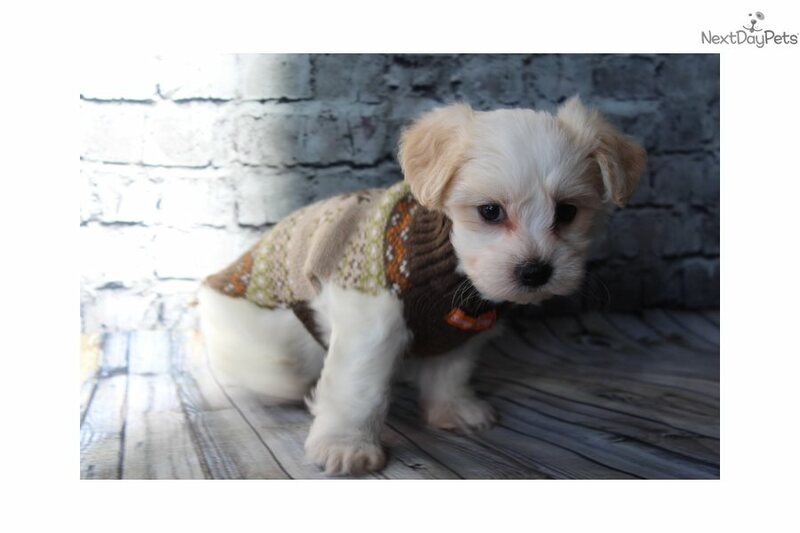 I know that purchasing a puppy online can be scary. I will do everything in my power to make it comfortable and easy. I provide a load of information, photos, and videos on my site www.cutiepoopups.com. I will help you every step of the way before and after you get your new pup. As your breeder I am here to offer support and advice in all areas of puppy training and rearing. I have 15 years plus experience so I speak from experience. 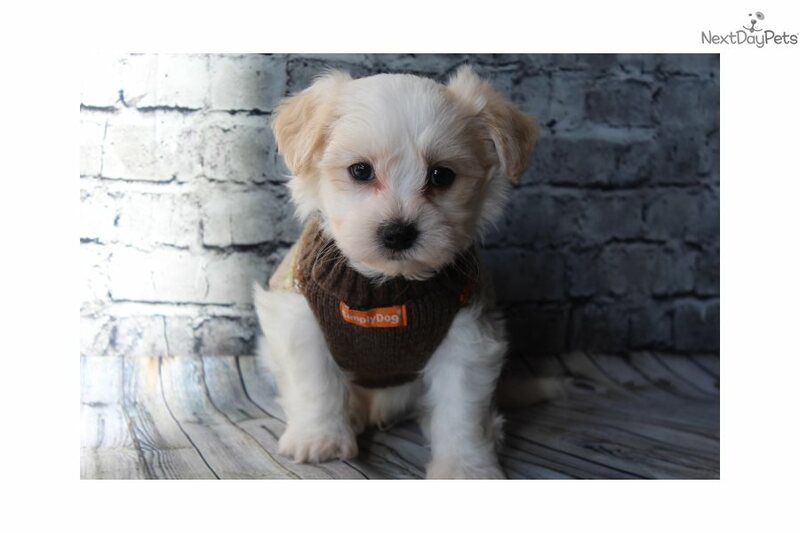 Together I know we can find a perfect new addition to your family that you will cherish for many years to come. For me it is about fitting the right pup with the right family. It is not just about the sell. Thank you for the opportunity to be your breeder.